If you were going to launch a business as a publisher today, what business model would you adopt to make money? The affiliate marketing industry, like most technology based industries, is constantly evolving at lightning speed. The most successful publishers need a fluid business model that can readily embrace progressive change. While working to scale current profitable campaigns is important, a business model that allocates resources to testing new approaches can allow publishers to beat their competitors to the punch by staying relevant and becoming an influencer in the industry. What geos would you target and why? When selecting a specific geo and/or geos to target there are a few different factors to be considered. Competition and quality are among them. Geos considered Tier 1 which include the United States, Canada, Australia and the United Kingdom are a great place to start due to the population of users and reputable ability to generate a sale. However, competition among these countries can be difficult. Other areas that should be considered for targeting would be those within the EU (European Union), where traffic can be less expensive while still containing smaller pockets of competition, while keeping quality sales. Put yourself in the position of a fashion- or beauty-focused publisher CMO coming into the holiday season. Test early. Publishers who wait too late to increase spending and test new holiday creatives, will miss out on maximizing their ROI and hitting their revenue goals. Testing new creatives before the prime shopping season, would give me insight on what campaigns will result in the highest ROI, when it’s time to maximize spending. ​Scale Fast – Once shopping season is at its peak, spend! Go Mobile – The 2016 holiday season saw a 44% in mobile commerce year over year. With it almost doubling last year, I would have a strong mobile approach to my campaigns this holiday season. Overall, Clickbooth has created a platform that helps with a lot of the hassles that most affiliates not working with us will deal with this holiday season. With our technology, our affiliates will have the ability to test/run more than one offer on a single link. Just select the offers and let the platform do the work for you. CB affiliates also have the ability to select optimized campaigns specifically for mobile, or even further to just Android or iOS too! With all that being said, in order to scale and take advantage of this season, spending is necessary. The holiday season provides affiliates the opportunity to capture loads of new customers. To keep up with the increase, the amount of budget needed is going to have to also be increased. Also, don’t think that budget for holiday is only going to be needed in just November and December. Get in first and start marketing holiday offers early. Consumers have started their shopping for the season earlier and earlier so think October to stay ahead of the game. If you wait to market Christmas offers on Christmas Day, you’re too late. Whether a seasonal campaign, or your year round go-to’s, your return is always going to reflect the quality of your traffic. Holiday season presents a great opportunity to get your feet wet in testing pockets of traffic in alternative geos or verticals that you might have otherwise overlooked while focused on your main revenue sources. Finding those magical pockets of traffic often lead to additional sources to reinvest into scaling your primary campaigns proving not only short-term profitability during the holiday season (whew! we made it! ), but also taking your business to the next level. Many publishers struggle with data management and understanding how their own media buying flows through into affiliate commission. How much help should they expect from their network? Far too often an affiliate cuts a campaign too soon which may have been yielding a significant ROI in certain segments of their traffic. This campaign quickly scales to become the top performer and the same affiliate circles back weeks later looking for the campaign, realizing it was a simple tweak needed on their targeting that held back overall performance. While affiliates should always be investing internally on data analysis, affiliate managers can often tap into additional data the affiliate may not have access to on the campaign from the client directly. This data can often help to identify targeting issues and ultimately lead to an increase in overall quality, so needless to say most clients are eager to provide feedback! It’s also important to note, not to overlook your affiliate login. Clickbooth’s Affiliate Interface was specifically designed by direct feedback from our affiliates so if there is data that you as an affiliate would like to see available in your login, don’t be afraid to ask! Furthermore, tracking platforms provide an all-encompassing look at the entire campaign funnel, and an industry-best product like ThriveTracker allows affiliates the opportunity to cross check data gathered from traffic source all the way to offer conversion. Optimizations can then be made in real-time to ensure ultimate campaign success for all parties. Quality will always reflect long term profitability, full circle. 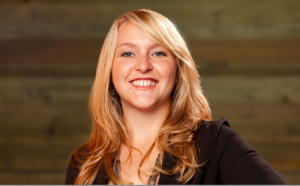 Erin Cigich serves as CEO of Clickbooth overseeing strategic marketing, sales and business development, client relationship management, and new product development. Joining the company in 2007, Mrs. Cigich has provided leadership through every growth phase of the company. Erin has a degree in Advertising from the University of Florida.